Iams ProActive Health Senior Plus helps fight signs of aging with essential nutrients and nourishing antioxidants to revitalize immunity to adult levels, helping your senior cat be her best at any age. 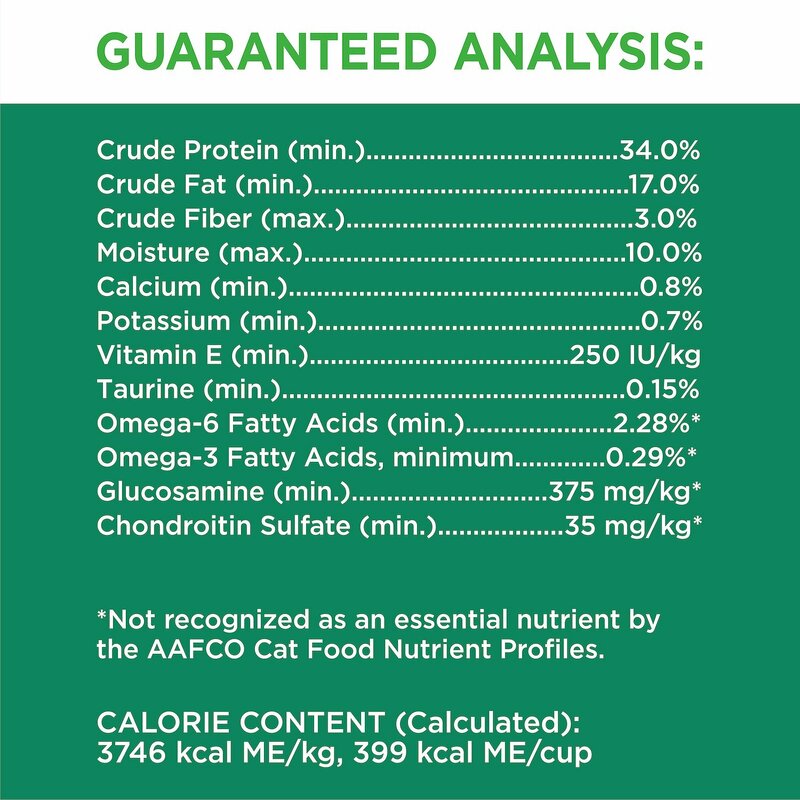 Complete and balanced cat food specially formulated for senior cats to help fight signs of aging to keep your senior kit-izen at her best at any age! Chicken, Chicken By-Product Meal, Corn Grits, Ground Whole Grain Corn, Dried Beet Pulp, Dried Egg Product, Natural Flavor, Brewers Dried Yeast, Chicken Fat (preserved with mixed Tocopherols), Potassium Chloride, Fish Oil (preserved with mixed Tocopherols), Choline Chloride, Fructooligosaccharides, Vitamin E Supplement, Calcium Carbonate, Taurine, Vitamins (Niacin, Ascorbic Acid, Vitamin A Acetate, Calcium Pantothenate, Biotin, Thiamine Mononitrate (source of vitamin B1), Pyridoxine Hydrochloride (source of vitamin B6), Vitamin B12 Supplement, Riboflavin Supplement source of vitamin B2), Inositol, Vitamin D3 Supplement, Folic Acid), Zinc Oxide, Manganese sulfate, L-Carnitine, Copper Sulfate, Potassium Iodide, Rosemary Extract. Start by mixing 25% new food with 75% of the current formula. Slowly change the proportions over the next 3 days or so by gradually increasing the new food and lessening the amount of the current food. At the end of the weaning process, you should be feeding 100% of the new food. We've got two senior cats, 12 years old. And as they age, they seem to have increasing problems with vomit. This food hasn't eliminated the problem, but it certainly has helped. Also, the lower calorie count seems to help control weight, as they become less active. We have three cats, Suzie, Star, and Fluffy. Suzie and Star are older cats so we thought we would try out the Senior product. Both our older cats preferred Iams over the other kinds of dry food we were feeding them. And Fluffy, he prefers it too, even though he is still a young Fluff, three years old. My kitty loves this, so I didn't tell her it was good for her. lol After eating it for just a few days her coat started to get it's shine back. She has got a lot more energy and wants to play more. Bottom line is, she loves it and I really like to see my kitty doing so well. I was looking for a healthy food for all my furry kids and IAMS was the perfect choice. They all love it and I feel better about their well being. 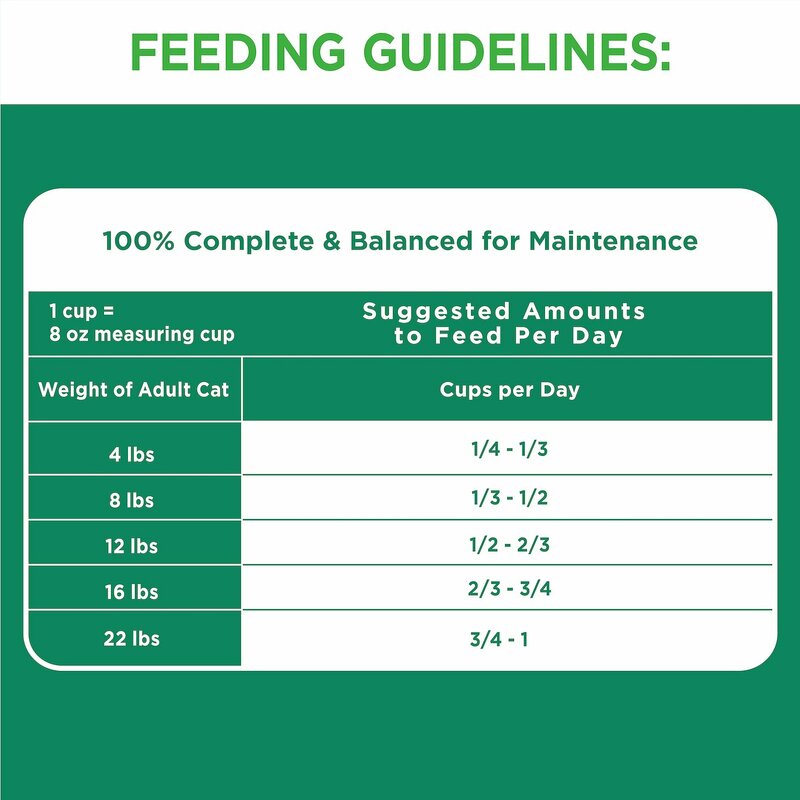 IAMs is the only food my 18 year old Tortie has eaten and is the only thing she will eat. We were running low on vitals. Ordering this plus a kitty heating pad, allowed for free shipping. So I ordered it. It is lot of food for one geriatric kitty. Price wasn't any hot shakes. Cat bed arrive in two days. Took a week to get cat chow. Kitty is eaten her chow, and loves her bed, so no harm or loss. Cats & racoons like it. I have a 12yr old and a 5 yr old cat. They like every food ive given them except 1 store brand. However my 12 yr old now stares at the wall. But its proba ly from old age. Hes an outside cat. But he eats yo the senior iams. 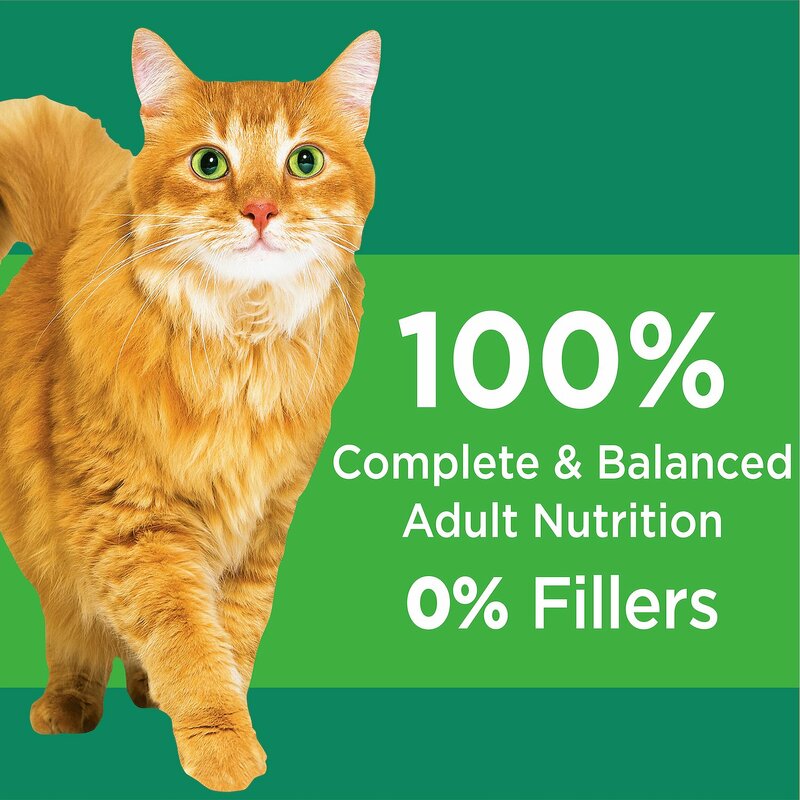 I am so happy to find this formula of cat food at Chewy. Romeo is well into his senior years, but he has been with us since he was about a year old. Our local stores carry Iams, but not this one. So easy to add this to our Chewy order for Deacon, and take of both furkids at the same time. Thanks, Chewy! MY 15 YEAR OLD CAT LOVES THIS FOOD! I'll continue to order IAMS HEALTHY SENIOR cat food through CHEWY rather than drive 42 miles round trip risking that the store is stocked with it or not! 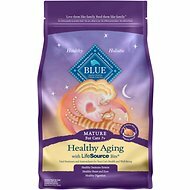 I refuse to substitute any other senior cat food available in my small city! Thank you for your convenience, CHEWY! My cats ( all 8 of them) have eaten regular Iams in the orange bag their entire lives. My older cats do not like this formula. 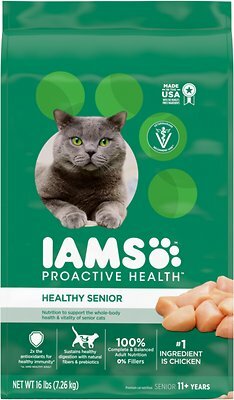 I am sure it is a great product, but I will go back to the normal Iams formulation.